It’s dark outside as I sit in the wee morning hours, pondering the loss of life, leadership, innocence and hope that occurred 50 years ago today, not far from my desk here in Dallas. 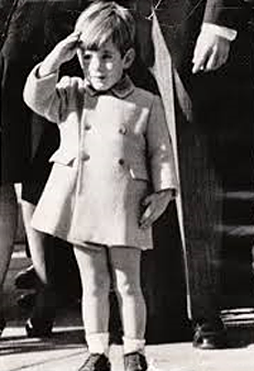 I don’t remember the day JFK was assassinated, as I was just a little tyke living in Los Angeles at the time, only a year or so older than John Kennedy Jr., who would come to symbolize the devastating event for a generation of Americans, as he saluted his father’s casket at his funeral. No one could have anticipated he would be my college classmate just 16 years later, or that we would study his father’s presidency together. It was in John’s first political science class at Brown University that we read The Best and the Brightest, the award-winning book about his father’s administration, and studied his leadership style, his team and his plans, including his thoughts about withdrawing from Vietnam before we got tangled up in an un-winnable war. As I learned more about JFK and got to know John Jr. personally, my affection for both of them grew. There was something special about them, a special dose of God’s grace on display that I would later write about here in a post about God’s ‘Halo Effect,’ which I encourage you to read. I would later visit the Kennedy compound in Hyannis Port, MA and water-ski with John’s cousins, including Maria Shriver and my good friend and future sports agent Brad Blank, who had grown up among the whole Kennedy-Shriver clan. Being there and being around them only deepened my emotional bond with JFK and heightened my sadness over his untimely death. Since those days I’ve learned that I’m not alone. Literally millions of other people feel John F. Kennedy’s loss deeply and grieve the savage theft of his great vision and promise, knowing they were responsible for us reaching the moon within a decade, of being good citizens who ‘asked not what our country could do for us,’ of de-segregating society and so much more. His smart-yet-casual New England style, his Hollywood good looks and even his tabloid cover scandals only intensify the sting of tragedy that haunts us fifty years later. People here in Dallas feel the sting more intensely than most, with a tinge of guilt for letting the President die on their watch, for not extending sufficient hospitality or protection. 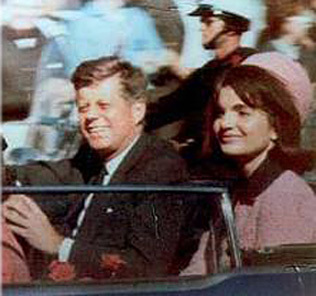 Many here, including me, have walked around Dealey Plaza, surveyed the grassy knoll, and even visited the old book depository building, making the whole incident more real – or perhaps more surreal. The only way out of the darkness for me, to get past this lowly reminder of our world’s serial violence toward bright lights and transformational leaders – and of man’s basic inhumanity to man – is to remember another dark day and devastating death. My only chance of emotional escape and true liberation is to focus on Jesus, the ultimate light-bearer and transformational leader who died on the darkest day ever and then made a spectacle of death by rising three days later – a feat no other leader has ever duplicated, or ever will. People witnessed it, history affirms it and the Holy Spirit testifies to it. Jesus also stirs the same resurrection life within us. Hallelujah! He is risen, we are risen and death doesn’t win or have the final word!! Thank you, Father, for this day of remembrance. Help us to grieve with those who grieve yet share the light and hope of your Son that burns within us. Help us to overcome the darkness of this world that wars against faith, hope and love and the wonderful name of Jesus. Help us to be fearless in the face of darkness, never surrendering the victory you have won for us. Help us to rejoice always, in Jesus’ name. Amen! Thanks, Susan. As a native Dallas-ite I’m sure you have your share of thoughts and emotions on the subject. Feel free to share and have a blessed day.